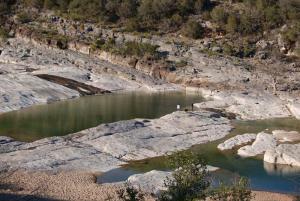 Pedernales Falls during a drought so there wasn't much water flowing. This trail takes you down to the falls which are very spectacular. It's well used so expect others to be there. There are some huge rocks in the falls area which are great for photos.